They say home is where the heart is, and if it’s an ancestral home then the heart always finds a way back to it somehow. 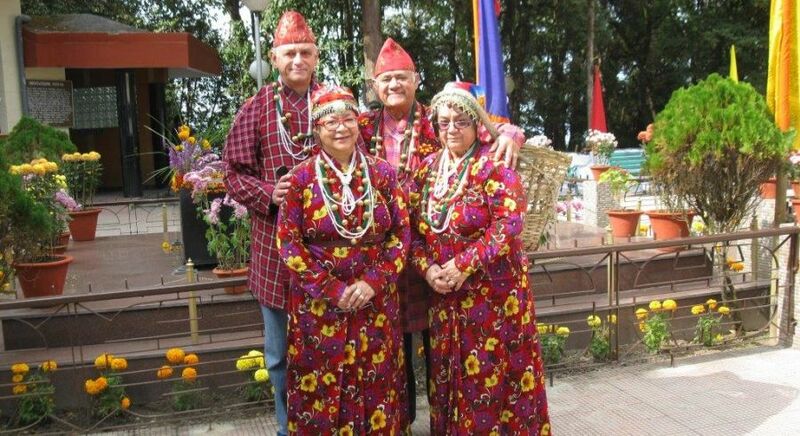 In November 2014, June Govet and her family decided to make the long trek, all the way from Australia, to the hauntingly beautiful mountains of Sikkim, and to the cities of Kolkata and Mumbai. This is where their great grandparents were from, and it’s where they had left many childhood memories behind. An emotional reunion, fond reminiscing, and enchanting journey later, June’s trip was over, but not before leaving her with some wonderful new memories to add to her old ones. This is her story. 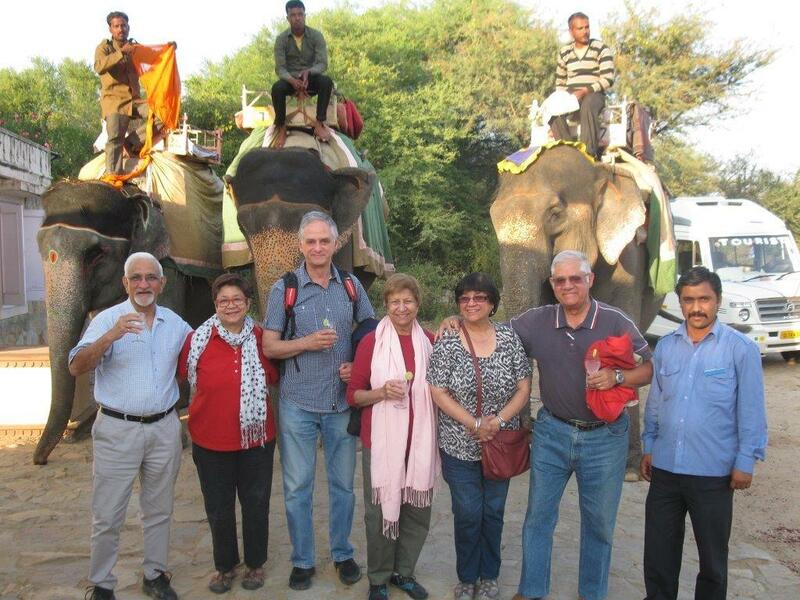 I traveled with Enchanting Travels to India in November 2014 and it was a wonderful, emotional and great holiday. Everyone from the escorts to the drivers to the guides and the coordinator – they were all so helpful and so obliging. It was always good to know that someone was there to help us along the way. I went with my family to discover more about my mother’s ancestry, and finding out about our past was just so amazing. We could not have done it on our own. Thank God we had a guide, especially in Darjeeling. Sunil was fantastic and he was always so patient. Every time we arrived at an airport or at a hotel, I felt that we were being treated like royalty. 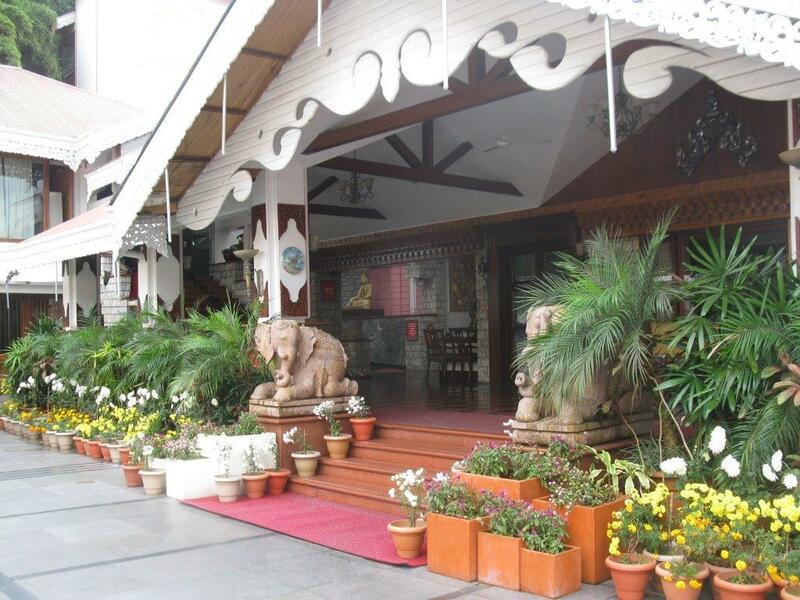 All the hotels were fantastic with good service and a car at your disposal – what more could one ask for on a trip! Everything was prearranged and it all went very well. 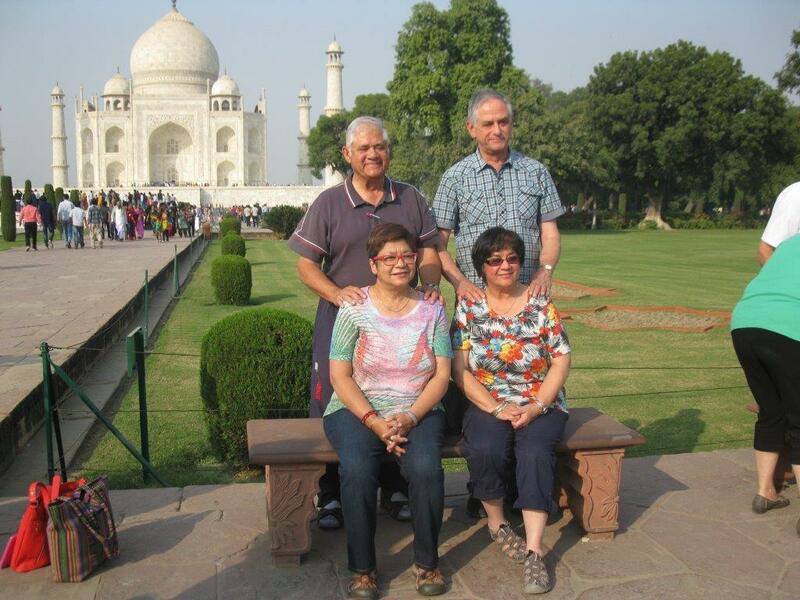 I would recommend Enchanting Travels to anyone who wants to travel to India and the surrounding areas. Here are some highlights from June and her family’s trip. Here are all six of us getting ready for the elephant safari through a private jungle at sunset. It was a great experience! 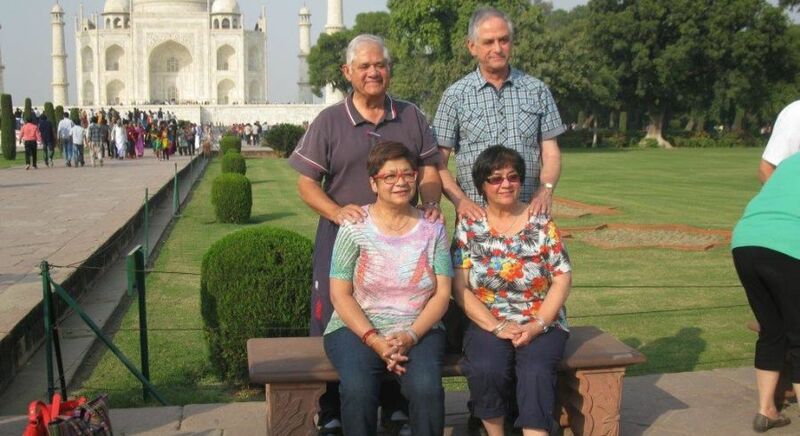 Check out my siblings at the Taj Mahal. It is a magnificent wonder of the world and the guide was so informative! The World Peace Gong at Mahatma Gandhi’s Memorial Site in Delhi. It was very touching and there is so much to learn about this great man. 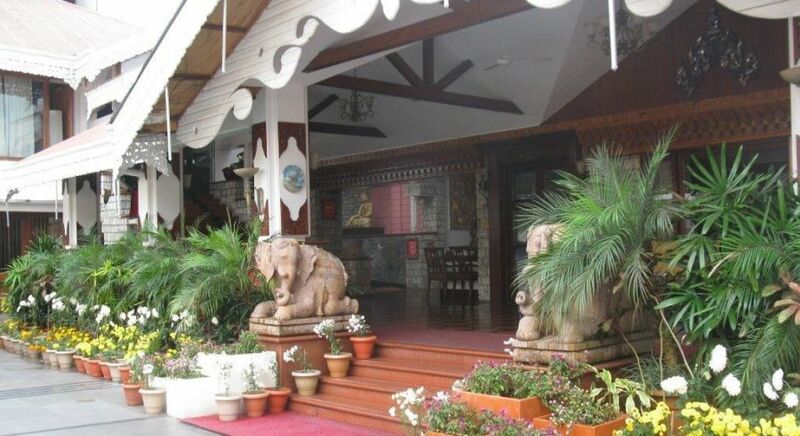 This is the entrance to one of the beautiful hotels we stayed in – The Mayfair in Gangtok – Sikkim, India. 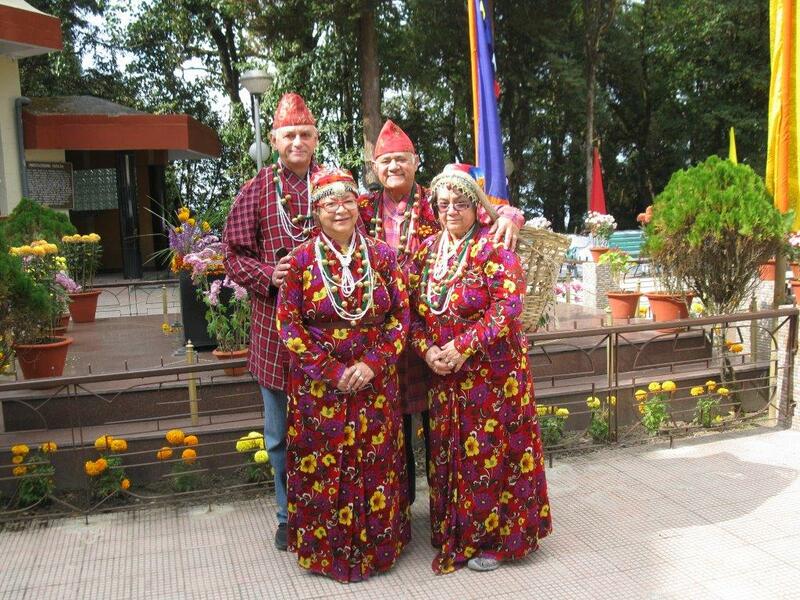 My siblings at the Himalayan Mountaineering Institute in Darjeeling, dressed in the traditional costume worn in Sikkim. 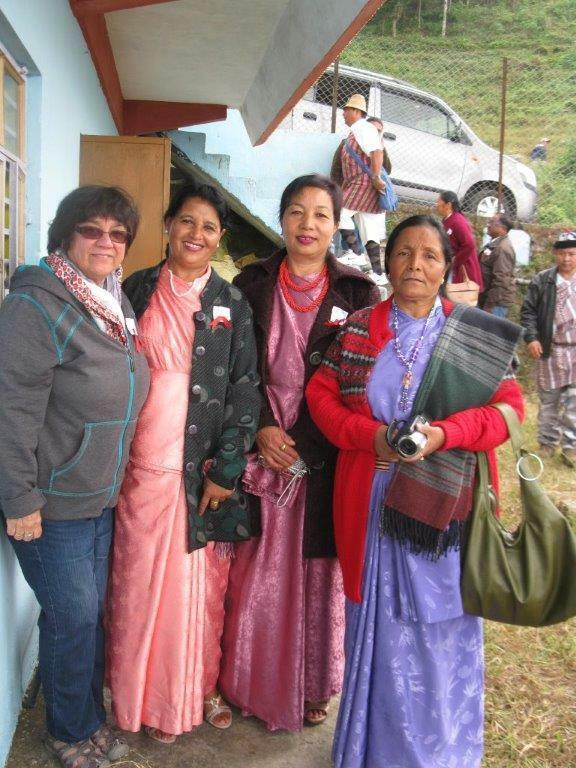 Here are some of the Lepcha ladies who made us feel so welcome in Kurseong. 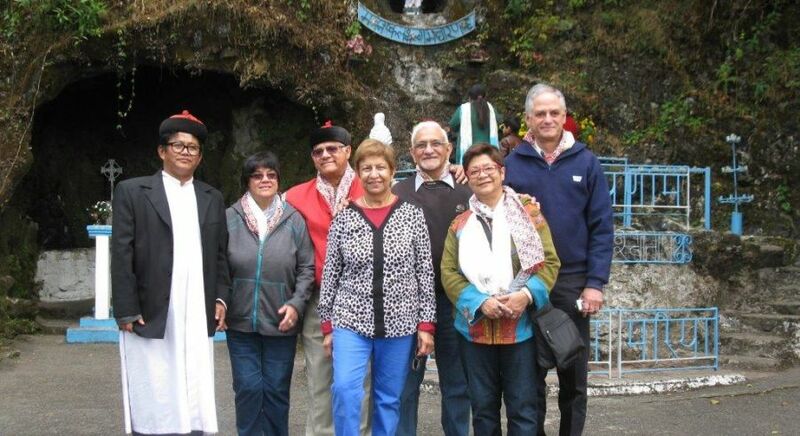 This is where we found our ancestry – we are descendants of the Lepcha tribe from this region. 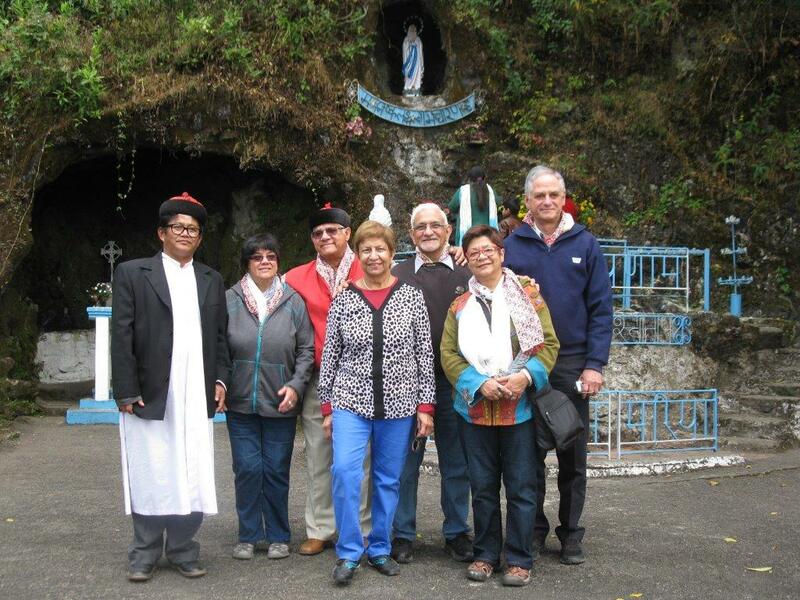 We posed for a picture with the Lepcha priest who celebrated Mass at St. John Berchmans church in Darjeeling. The parish was celebrating its 125 year anniversary and we were there! My mother, great-grandmother and grand-uncles were all baptized here. 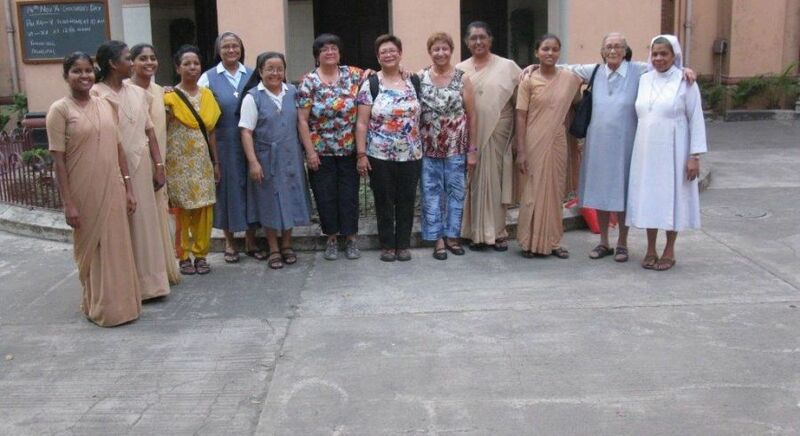 This is our old school in Kidderpore, Kolkata. 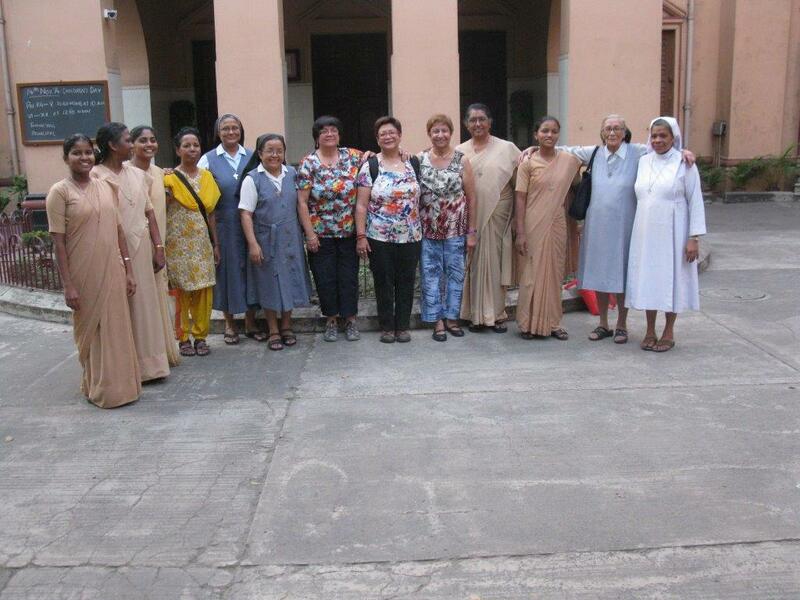 We had a magnificent welcome from all the Nuns there and met with my old music teacher as well. It was a very emotional day. 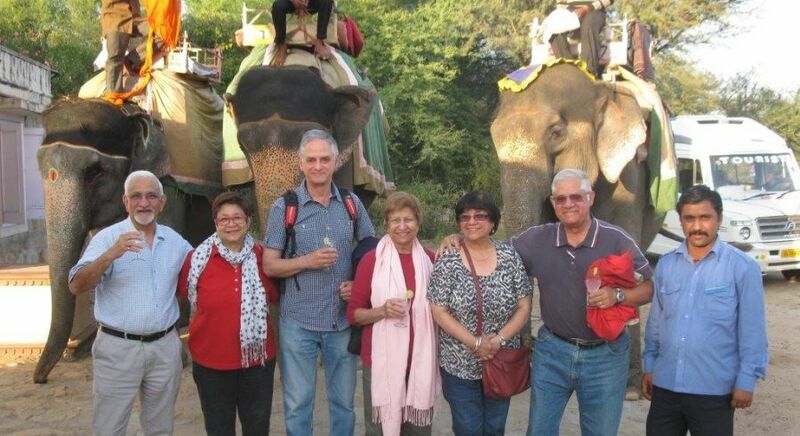 Ready for your own adventure in enchanting India? Let us help you plan a trip to India you’re going to love! June such an amazing holiday and amazing memories. So happy for you an your family.